thewayofthepirates.com is a place where you can find everything you want to know about famous pirates and piracy! This site offers a basic introduction to the world of pirates, and lots of accurate information about pirate history and legends, as well as reviews of pirate books, movies, and other fiction. 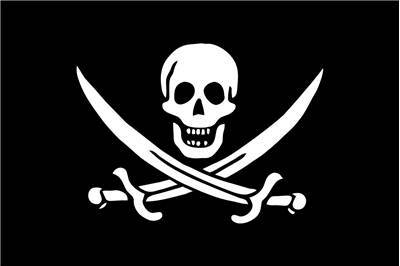 Pirates are criminals who steal vessels, people and goods on the sea and coastal areas. Privateers were privately owned ships that captured sea trade under orders from various governments. Buccaneers were government-sponsored pirate crews who attacked Spanish ships in the Caribbean during the 17th century. Terms privateers and buccaneers are today both synonyms for piracy. The earliest example of piracy is recorded in 14th century BC Mediterranean. First, a pirate attack that significantly endangered any country was pirate attacks on Olympos in 3rd century BC. Earliest pirates came from first nations who used the ocean for commerce - Illyrians, Tyrrhenians, Greeks, and Romans. A pirate who served as the largest motivation for generations of other pirates after him was Henry Every, English pirate who managed not only to capture largest pirate loot of all time, but he managed to remain free until his death. The most usual origin of pirates was in post-war years when military ships and sailors lost their commissions and turned toward the life of piracy. Today when you hear someone talking with “pirate accent”, know that they most definitely did not talk like that. English West Country accent was popularized in Hollywood by the two film performances of actor Robert Newton whose roles of Long John Silver (Treasure Island, 1950) and Blackbeard (Blackbeard the Pirate, 1952) forever changed the romanticized way we look at pirates today. Most famous pirates during Middle Ages were Viking raiding parties that harassed not only Baltic Sea and England but traveled and attacked waters and coast of Africa and Italy. Piracy in eastern Asia started around 9th century AD with the rise of the several wealthy trading ports. 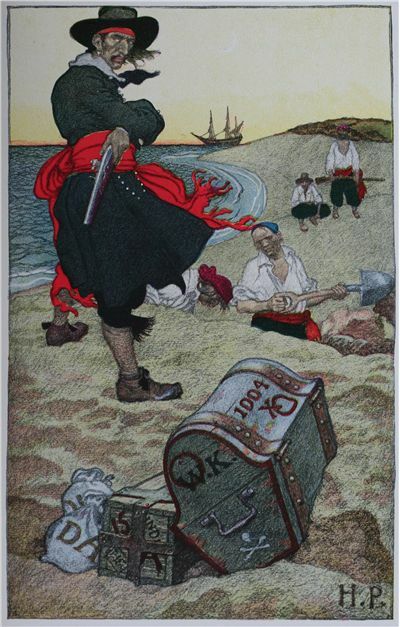 The most popular pirate-themed books of all time are Treasure Island (1886) by Robert Louis Stevenson, and Peter and Wendy (1911) by J. M. Barrie. Even though Edward “Blackbeard” Teach proved to be a formidable pirate during his life, today he is mostly remembered as the most popular pirate figure in fiction. His exploits were adapted in countless novels, films and other forms of media. Not all pirates chose that life because of severe living circumstances. Wealthy Barbadian land owner Stede Bonne turned to piracy because he loved adventurous life. He was active for one year before he was hanged. Most famous pirate nations of Africa were Barbary corsairs who came from ports located in Algiers, Tunis, Tripoli, and Morocco. They harassed Europe so much that they managed to enslave over 1 million Europeans. A pirate who managed to collect most treasure was without a doubt, Bartholomew Roberts. 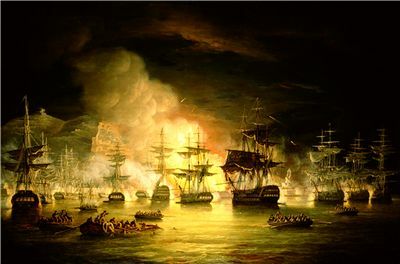 He successfully captured over 470 sea vessels. Barbary pirates created numerous pirate bases all around Africa. One of the larger ones was on the Madagascar, housing more than 1000 pirates at the peak of their operations in 17th and 18th century. The most famous era of pirates happened between 1650 and 1720 when pirates besieged the seas of Caribbean, Atlantic Ocean, and the Indian Ocean. 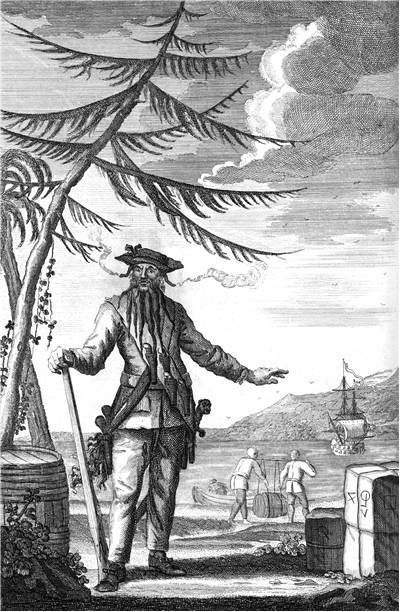 Most accomplished pirate of all time was Henry Morgan, Welsh buccaneer who plundered Spanish ships and coastal cities in New World on behalf of English crown. He was remembered as incredibly ruthless. The majority of pirates during Golden Age of Piracy were active for only a few years. 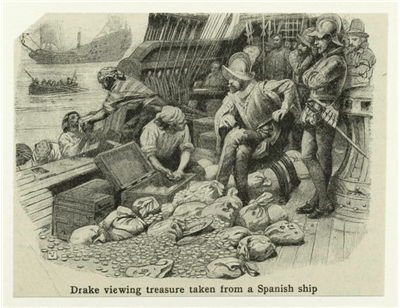 Occurrences of buried pirate treasure were greatly popularized by novelists, but in reality, only two such events were ever verified, one by English captain Francis Drake, who buried cargo of Silver, and pirate William Kidd who buried his treasure before he knew he would be arrested. He was sentenced to death, and treasure was never found. In the history of piracy, there were not many women. But several managed to rise to prominence, most notably Anne Bonny and Mary Read, who served together on a pirate ship. Anne Bonny was in the relationship with pirate Captain Calico Jack Rackham, who was caught and hanged in 1720. Mary Read died in prison from fever, but final fate of Anne Bonny is not known. Most pirates plundered trading ships and ports because greed. But "Black Sam" Bellamy was not like that. He called himself “Robin Hood of pirates” and has ideological justifications for his pirate deeds. His ship was lost in the 1717 storm. The most popular pirates in fiction are Long John Silver, Blackbeard, Captain Hook and Captain Jack Sparrow.